We are passionate about providing excellent therapy services to our neighbors here in Central Florida. Central Florida Therapy is a local business founded by therapists, business people and educators. We are passionate about providing excellent therapy services to our neighbors here in Central Florida. We are dedicated to improving the quality of life of our patients, contract partners and employees across all settings. We value their experiences, goals and potentials and make their enhanced well-being our mission. Our vision is to strengthen the communities we serve by enriching the lives of our patients, partners and employees through our excellent therapy services. Sterling is a results-oriented executive leader with extensive experience with several Fortune 500 companies. His primary responsibility is the development and implementation of a business strategy that encompasses the quality, passion, and integrity of Central Florida Therapy. Julie is a speech-language pathologist who has worked extensively with children to overcome reading disabilities, severe phonological disorders, apraxia, and global language delays. She is a proud graduate of the University of Florida. Her work as a speech-language pathologist has included hospital, private practice, home and school-based services. 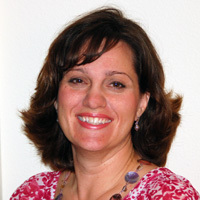 She is passionate about involving families and caregivers in the care of their children. Her primary responsibility with Central Florida Therapy is to oversee delivery of excellent therapy services in all disciplines. Jamie is a veteran educator with a passion for serving children. She brings experience mentoring, writing curriculum, and building educational programs in the public schools and the healthcare setting. Her primary responsibility is to serve as a liaison between Central Florida Therapy and the schools, parents and healthcare agencies affiliated with the children our therapists serve. 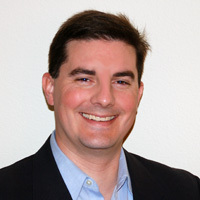 In addition, Jamie oversees the daily operations of the company.